Of all of the rooms in your home, the living room gets possibly the most exposure as it is where you gather with friends and family to chat and watch shows or movies. Choosing the right furniture sets the tone for this important space. Do you want it to be super comfortable and encourage lounging and naps? 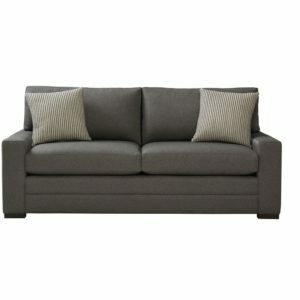 – then go with blend down or down seating for the ultimate in comfort. If a more modern or formal look is what you are after then higher backs and sleek lines may be more important for your space. Whatever you are after, we can help you find it here at Furniture Walk. For more living room ideas check out our brands, Craftmaster, Bassett, Magnolia Home, Natuzzi and Universal.